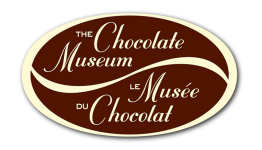 For groups of 10 or more please call 506-466-7848 or email chocolate.museum@nb.aibn.com to make a reservation. Please allow 1 to 2 business days for a response. *Only available throughout July and until August 18th, Monday – Saturday, upon request. The price of the Heritage Chocolate Walk includes a one hour guided walking tour and admission to the Museum; no reservations are required. Please inform guides upon your arrival that you want to take the walking tour.